RISE is a youth ministry of Barfield Baptist Church with a desire to set our youth apart from the darkness of this world. This does not mean we avoid it or ignore it. Instead, we “rise” from it and shine the light of Christ so that God can use us to transform the lives of those who do not know Him. CLICK HERE to visit our Rise Youth page and see what’s going on with us. Launch is the Children’s ministry at Barfield Baptist Church. Proverbs 22:6 says “Start children off on the way they should go, and even when they are old they will not turn from it.” We realize the importance of raising kids in a positive Christ centered atmosphere so in the Launch ministry we “set a course for life” and strive to “Launch” them in the right direction in hopes that when they are older they will not turn from it. CLICK HERE to visit our children’s ministry page and see what we’re up to! Grief Share is a ministry for those who are dealing with the stresses of losing a loved one. They are not counseling sessions but rather an opportunity for you to work through the grieving process with others who understand your pain. It is our goal that you do not have to stand alone in your time of loss and we would like to extend an invitation to join and begin rebuilding your life. This ministry is led by others who have experienced the loss of loved ones. CLICK HERE to visit our GriefShare page and get information about the next session. The Adult Choir is led by Bro. Jerry Todd, our Music Minister. The choir is an essential part of our church’s worship service. The music prepares our hearts for the message that follows. CLICK HERE for more information on joining our choir. Fellowship is great. This Ministry gives our Seniors the opportunity to get out and spend time together. They enjoy a luncheon on the second Tuesday of every month along with other things too. 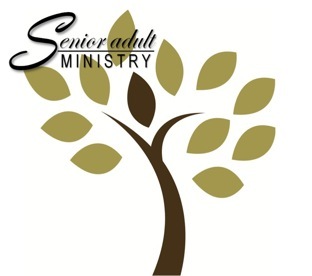 CLICK HERE for more information on our Senior Adults. Our Young Adult Ministry led by Debbi Dzenko is off and running with something different to do each month. From Game night at the church, floating down a river or having lunch together, they are always busy. CLICK HERE for more information on joining our Young Adult Ministry!! Our Women’s Ministry has great opportunities for fellowship. Participate in dinners such as the annual Christmas party or go on a trip to Gatlinburg or take a cruise to a far away island! Our Ladies stay busy! Our Men’s Ministry enjoys getting together too. A baseball game, the gun range and also having a pancake breakfast together are just a few things they have done together lately.